Background: Alkaptonuria (AKU) is a serious genetic disease due to a defect in tyrosine metabolism, leading to increased serum levels of homogentisic acid (HGA). Nitisinone decreases HGA in AKU, but the concentration–response relationship has not been previously reported. Objectives: To determine the relationship between serum concentrations of nitisinone and the effect on both HGA and tyrosine; secondly to determine steady-state pharmacokinetics of nitisinone in AKU patients. Method: Thirty-two patients with AKU received either 1, 2, 4, or 8 mg nitisinone daily. Urine and serum HGA and serum tyrosine and nitisinone were measured during 24 h at baseline (before first dose) and after 4 weeks of treatment. Results: Nitisinone pharmacokinetics (area under the curve [AUC] and maximum concentrations [Cmax]) were dose proportional. The median oral clearance determined in all patients, irrespective of dose, was 3.18 mL/h·kg (range 1.6–6.7). Nitisinone decreased urinary excretion of HGA in a concentration-dependent manner, with a maximum effect seen at average nitisinone concentrations of 3 μmol/L. The association between nitisinone and tyrosine concentrations was less pronounced. Serum levels of HGA at Week 4 were below the limit of quantitation in 65% of samples, which prevented determination of the relationship with nitisinone concentrations. Conclusion: Nitisinone exhibits dose-proportional pharmacokinetics in the studied dosage interval. Urinary excretion of HGA decreases in a concentration-dependent manner, while the increase in tyrosine is less clearly related to nitisinone concentrations. The online version of this chapter (doi: 10.1007/8904_2015_412) contains supplementary material, which is available to authorized users. We wish to thank Jean Devine and Jeannette Usher in the Clinical Biochemistry and Metabolic Medicine for the handling of the serum and urine samples. We also want to thank Helen Bygott, Emily Luangrath-Nicholson, Richard Fitzgerald, and Asad Ullah at the Clinical Trials Units in Royal Liverpool University Hospital and Oľga Lukačová, Eva Vrtíková, and Vanda Mlynariková in the National Institute of Rheumatic Disease in Piešťany for the diligence shown in carrying out the study. This study was part of the DevelopAKUre program, which received funding from the European Commission 7th Framework Program (FP7). In patients with alkaptonuria, nitisinone decreases urinary excretion of HGA in a concentration-dependent manner, while the increase in serum tyrosine is less clearly related to nitisinone concentrations. All procedures followed were in accordance with the ethical standards of the responsible committee on human experimentation (institutional and national) and with the Helsinki Declaration of 1975, as revised in 2008 (6). Informed consent was obtained from all patients before being included in the study. Animal rights: Not applicable for this clinical study. B Olsson and J Szamosi are Sobi employees and shareholders. All other authors declare that they have no conflict of interest. BO, LRR, AKH, TFC, JR contributed to the study design. LRR, JR undertook medical procedures. ATH, AMA developed analytical methods and analyzed study samples. TFC, EEP, JS, BO contributed to the statistical analyses including PK calculations. BO drafted the first version of the manuscript. 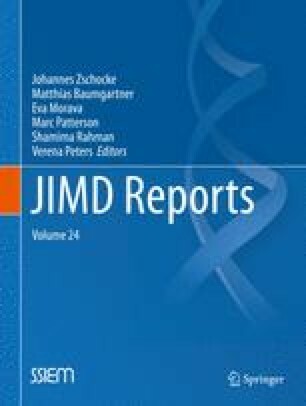 All authors contributed to the interpretation of data and writing and revision of the manuscript.